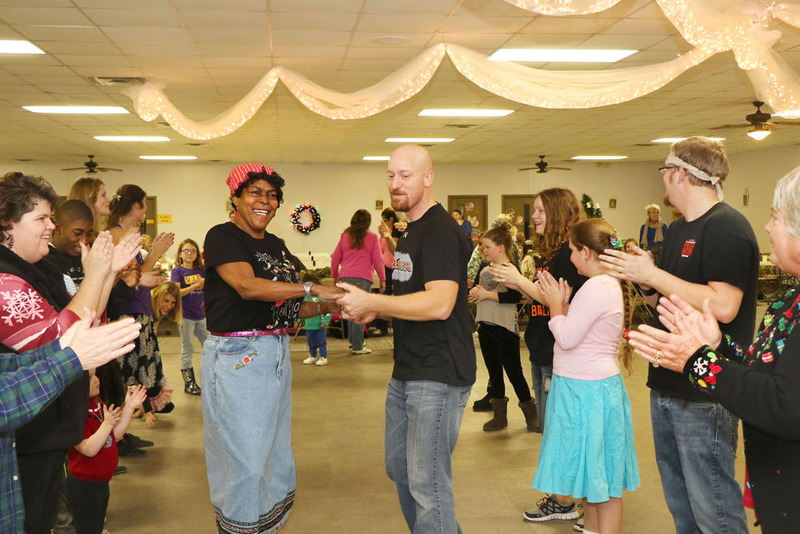 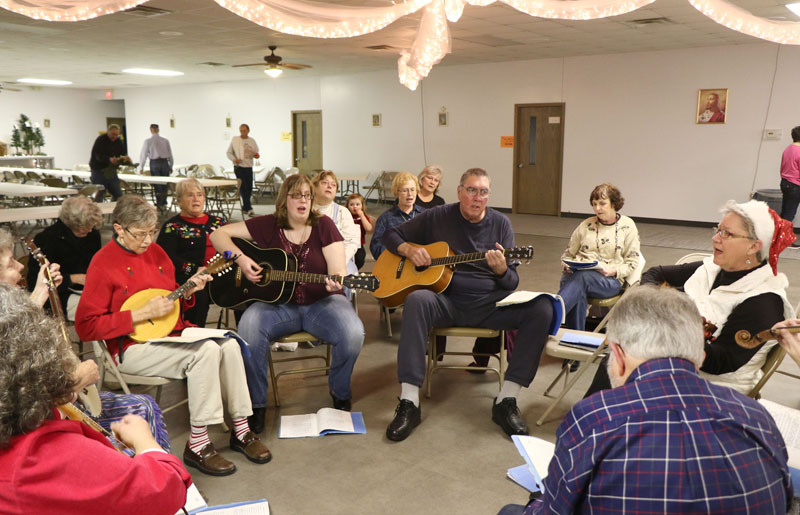 Fort Calhoun families and visitors found plenty to do from morning to night last Saturday, December 13 at Christmas in Calhoun. 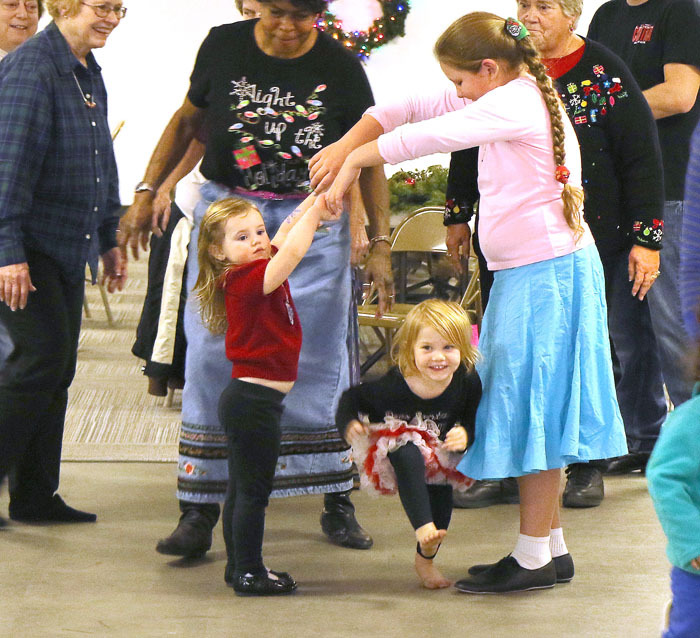 Kaitlyn Gochanour and Freya Schogren make an arch for Bella Nelson and dancers at the Barndance held at St. John’s Schwertly Hall Saturday evening December 13. 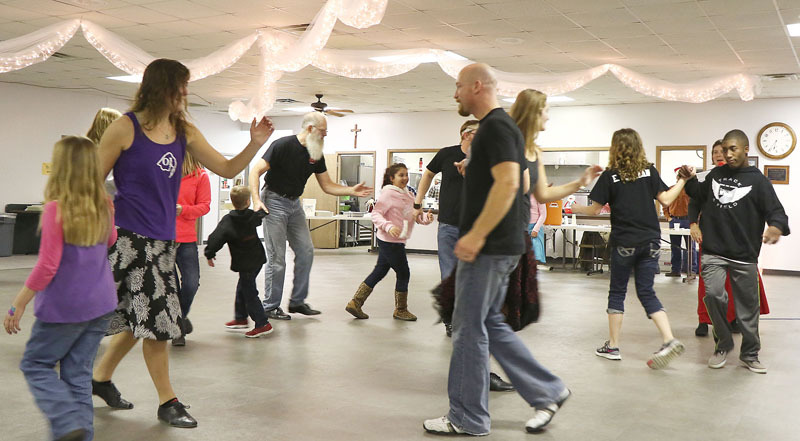 Dancer young and old swing their partners anc circle left at the old fashioned barn dance. 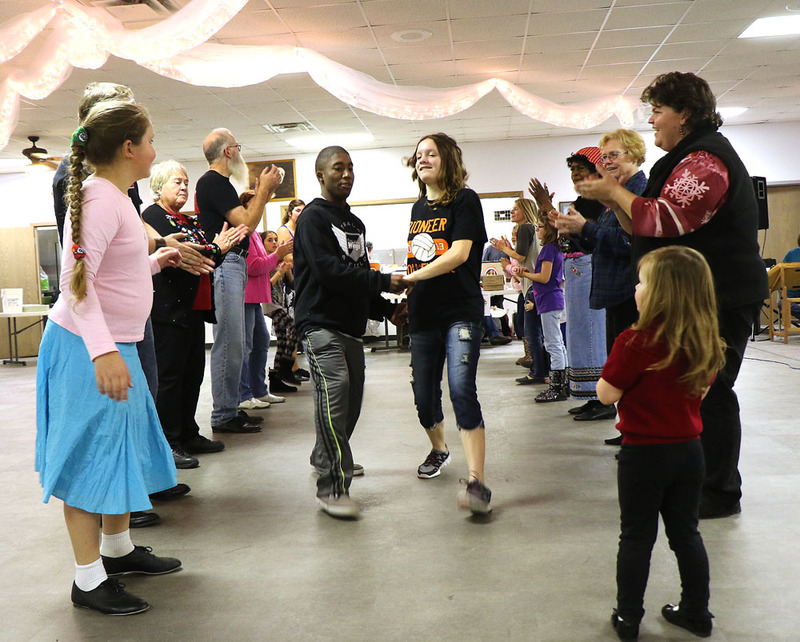 Austin Justus and Emma Fuhrman dance Saturday Dec. 13. 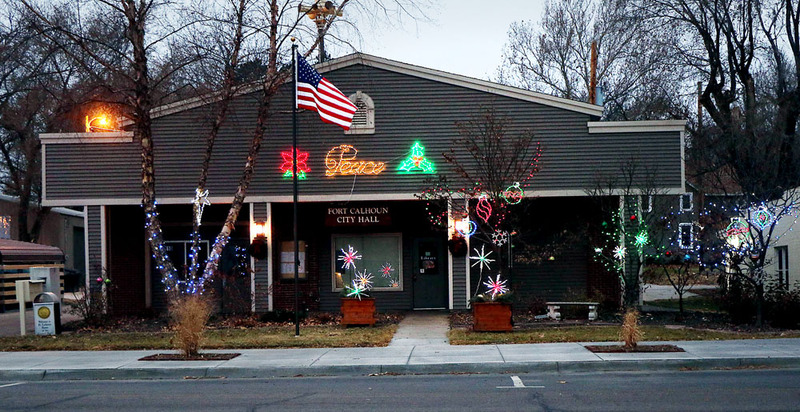 Fort Calhoun City Hall shines brightly for Christmas in Calhoun.